Create a protective barrier around hazards, voids, drop- offs, edges and other no-go areas. 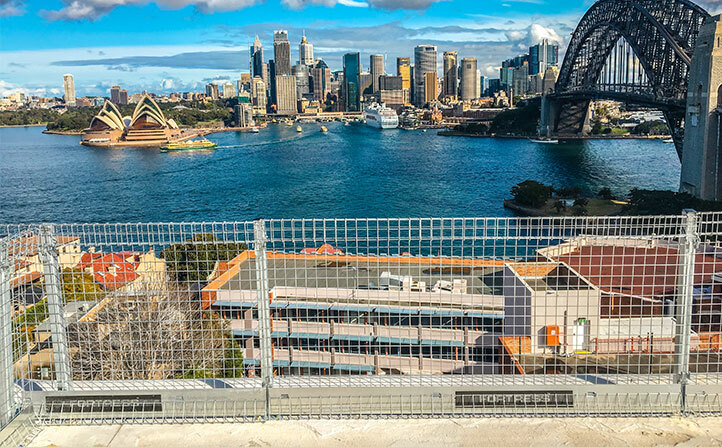 Applications for the Edge Protection Barrier include temporary fencing around excavations & work sites, pedestrian barriers, hazard warning and crowd control. Create a protective barrier around voids, drop-offs, edges and other no-go areas with the XT Edge Protection Barrier. A strong temporary fencing solution, it is ideal for installation around excavations and work sites. Additionally, the XT Edge Protection Barrier is perfect as a pedestrian barrier, crowd control tool, or to warn of hazards. It is a flexible product with a choice of installation options to suit either concrete or soft, sandy ground. 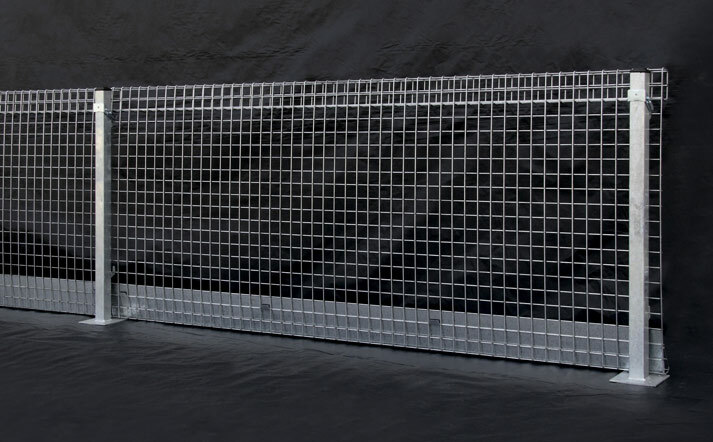 Each galvanised welded mesh panel comprises 4mm steel wire construction. 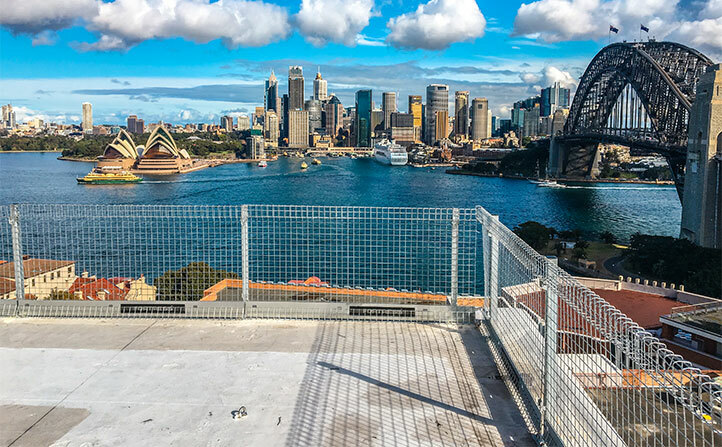 The wire grid has centres not exceeding 50mm x 50mm, meaning it complies with AS/NZS 4576-1995 ‘Guidelines for Scaffolding’. Panels also feature a rectangular rolled wire top. Additionally, the rolled wire bottom includes a galvanised kick plate. This solid kick plate helps prevent objects from falling through the panel bottom, thereby reducing the risk of losing objects near the drop-off. Also available is a high vis version made from the same heavy duty design as the standard panel. This incorporates a HDPE polyethylene sheet fastened to the mesh with safety yellow/black marker stripes. This provides a solid barrier that can be quickly installed in almost any environment. Available in 2 sizes, the hi-vis XT Barrier protects from dust, debris and other site hazards while marking clear walkways and no-go areas. Made with UV stabilised material, it will last up to 10 years. Contact Fortress Fencing for more details or to enquire about package deals. Galvanized 50mm square RHS posts form part of the XT Barrier System. These 1005mm high posts are specially designed to quickly and easily lock the XT Edge Protection Barrier panels in place. This makes installation and removal quick and easy. The RHS post can be fixed to concrete using the low profile 152mm square fixing flange. Use masonry bolts or similar fixings – however we suggest gathering engineering advice before fixing to concrete. Alternatively, for soft sandy ground or asphalt paved areas, steel fence posts or star pickets can be used. 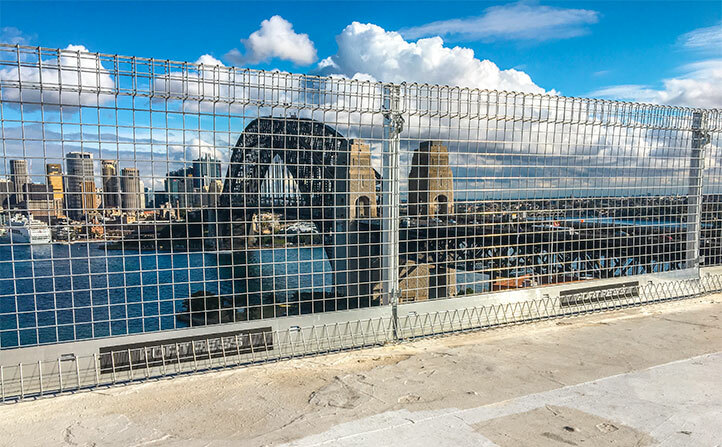 Click here to download the Fortress Fencing XT Edge Protection Barrier specification sheet.